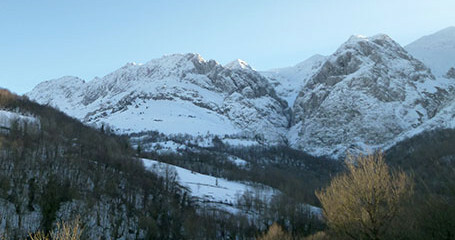 The Picos de Europa - Green Spain, the ideal place to rest, relax, walk, climb, dream. Make yourself at home . . . 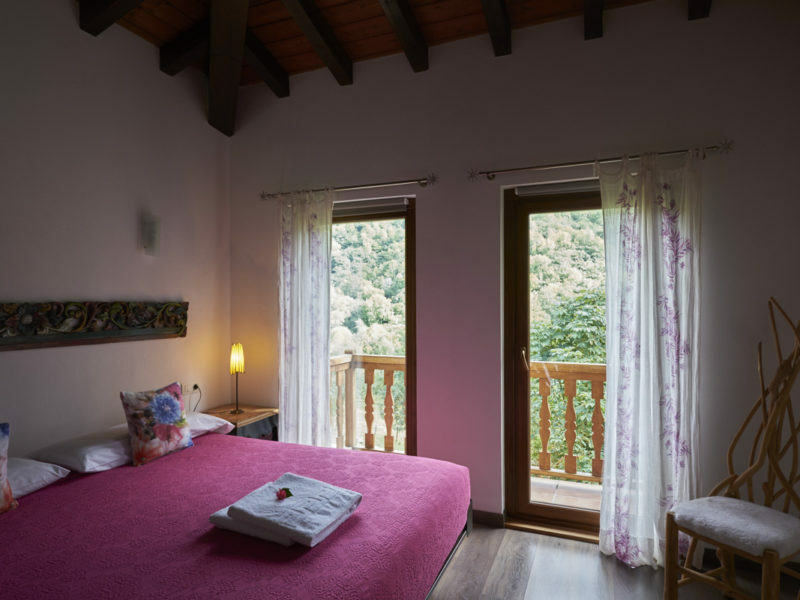 Spacious house for two with unique decoration and stunning views. 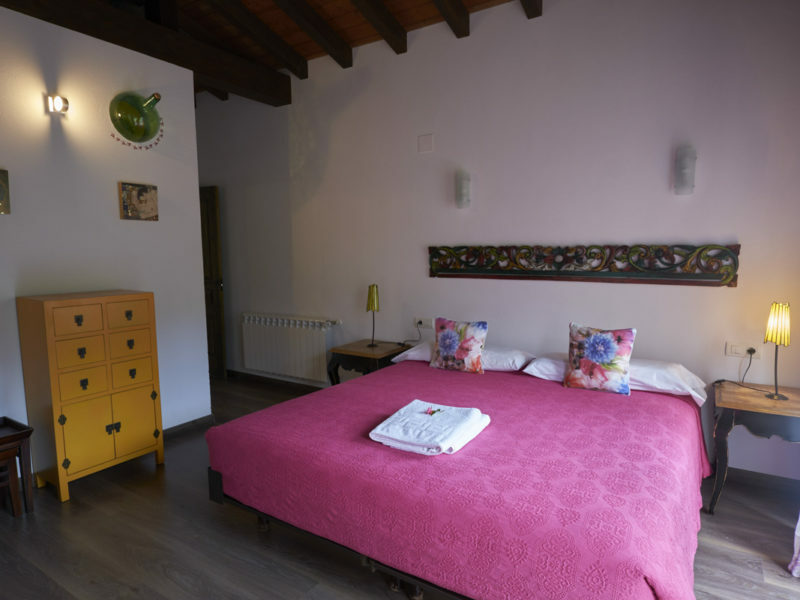 large comfy beds and all the comforts of home. 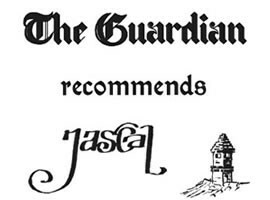 The Guardian recommends Jascal as one of the best rural hideaways in Spain. 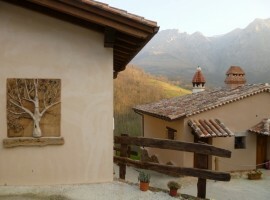 Unique house for 2 guests with private terrace and stunning views. 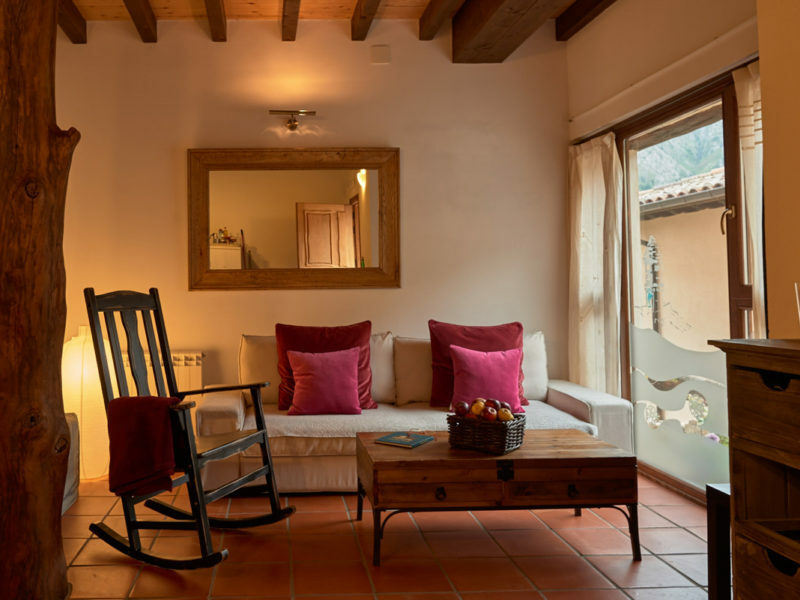 Independent entrance, cozy sitting room with fireplace, full-equipped kitchen, covered porch with table and chairs, bedroom with extra-large bed (180×200) and bath. 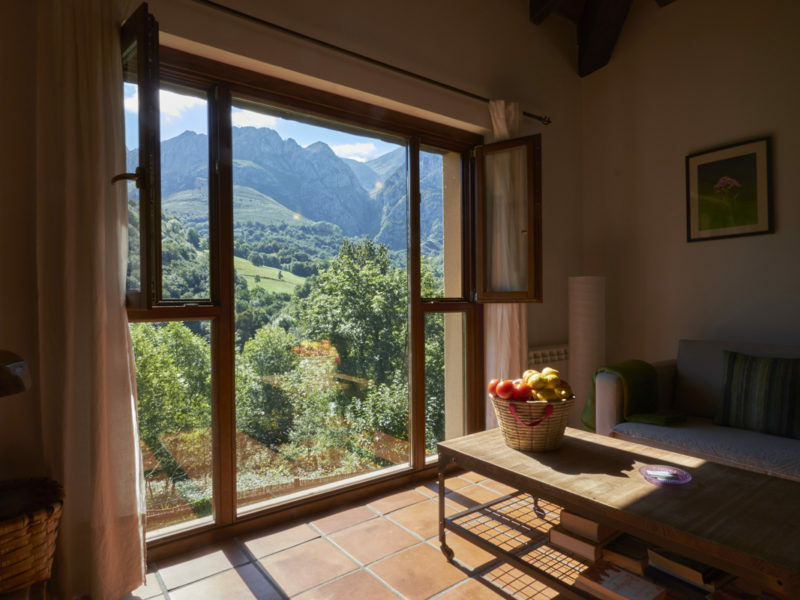 Superb views of the Picos from sitting room, garden and bedroom. 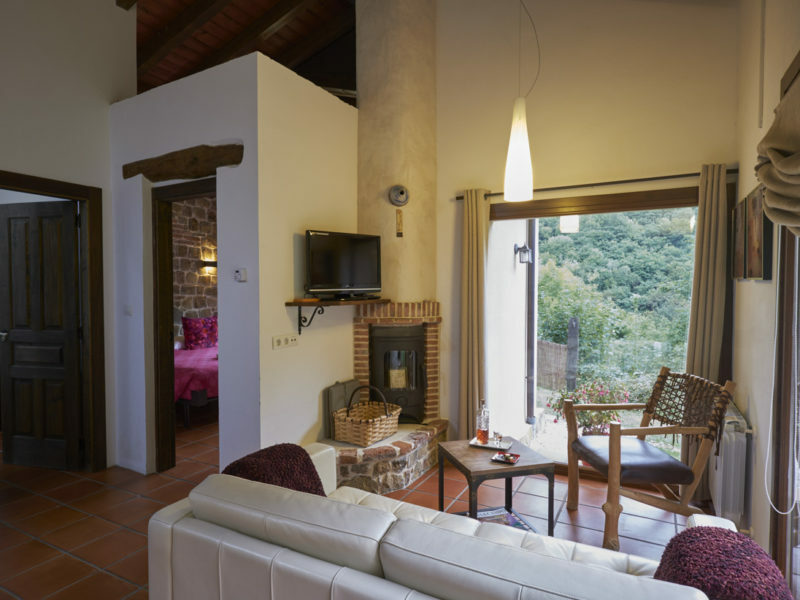 All our "casas" offer stunning views of the Picos. 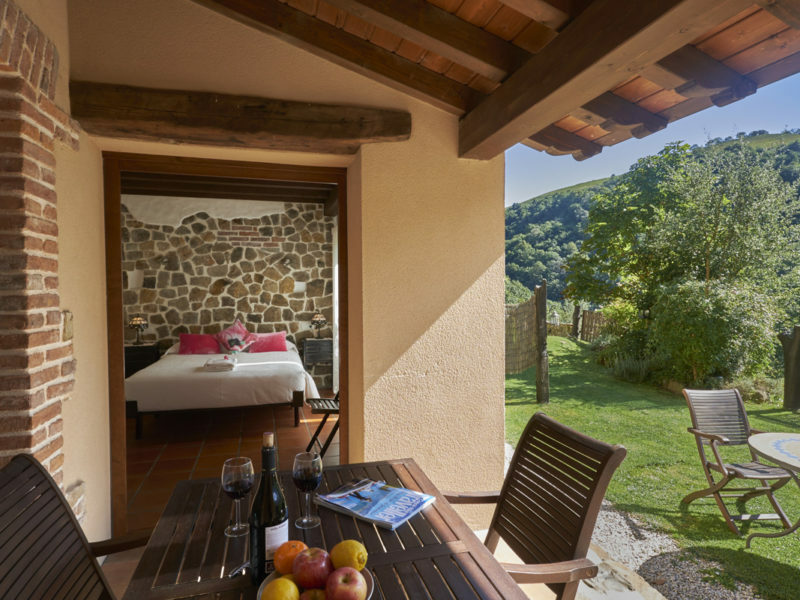 Enjoy lush green landscapes in summer, elegant bronze tones in autumn and snowy white peaks in winter. We fell in love with the area. Beautiful, accessible, unspoilt and everyone was so friendly. 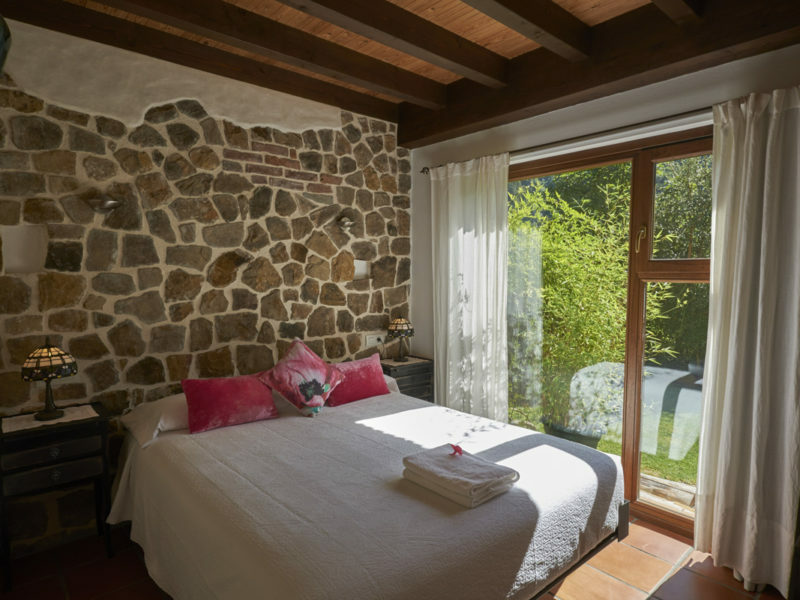 The views from the garden (and bedroom if you're lucky to stay in Casa Aire) are amazing. 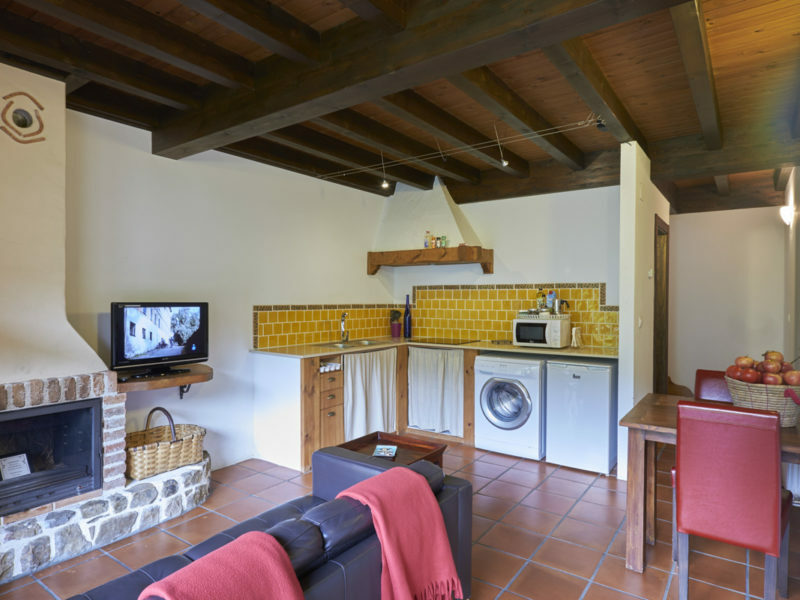 Jascal is conveniently located to visit major attractions in the Picos, the panoramic south-east region of the Picos and the Atlantic coast with its beaches. 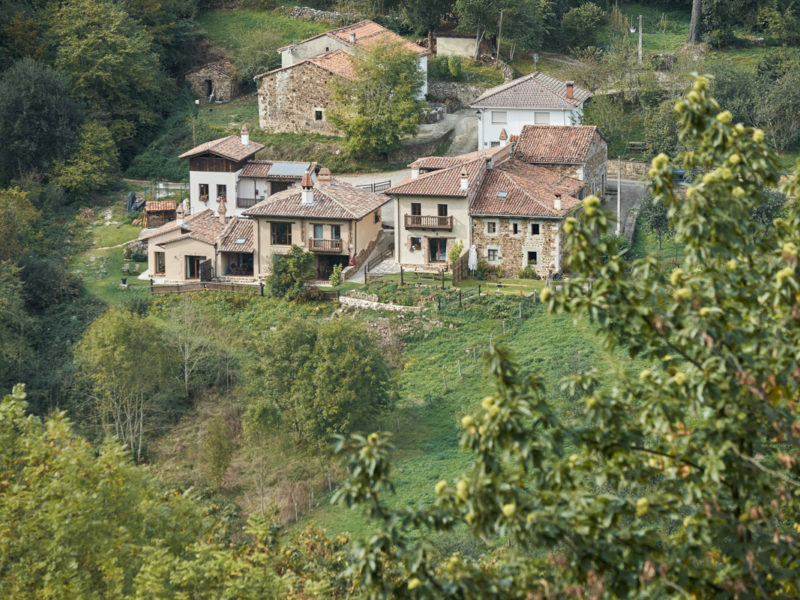 Oviedo is relatively close by and also worth a visit. Beautifully furnished. A very clever use of space and light results in airy, yet functional apartments with careful positioning of windows and terraces so that privacy is guaranteed. Furnishings and cleanliness of a very high standard. Thank you for all you have done for us. We had a lovely stay: beaches, mountains, views, food, cheese . . . 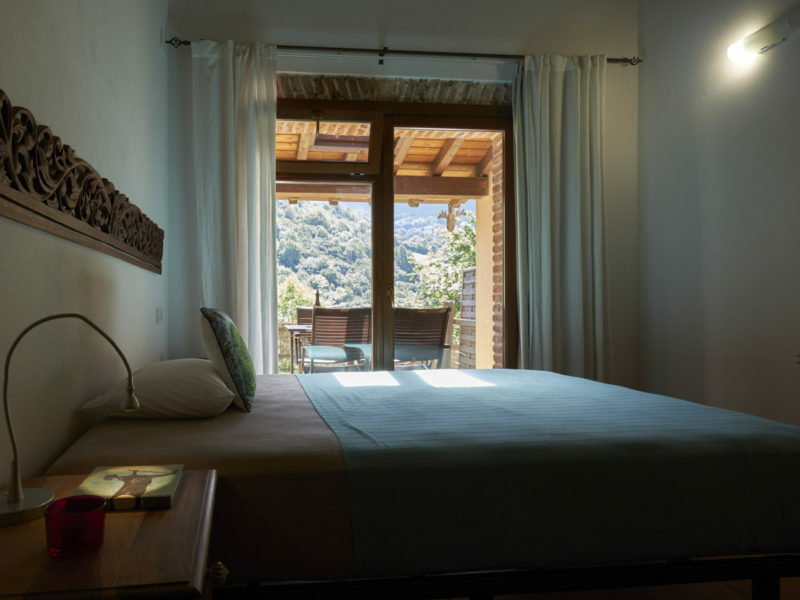 This was our second visit to Jascal – we wanted to return because our first stay was so perfect. The beds were spacious and comfortable, so much so that I'm now on a mission to find this mattress in Ireland. The house is well-equipped (we traveled with a 12 month old so this was important). Waking up to that view every morning was good for the soul. Photos don't do the view justice; it's simply stunning and yet feels very private. We'd love to go back. 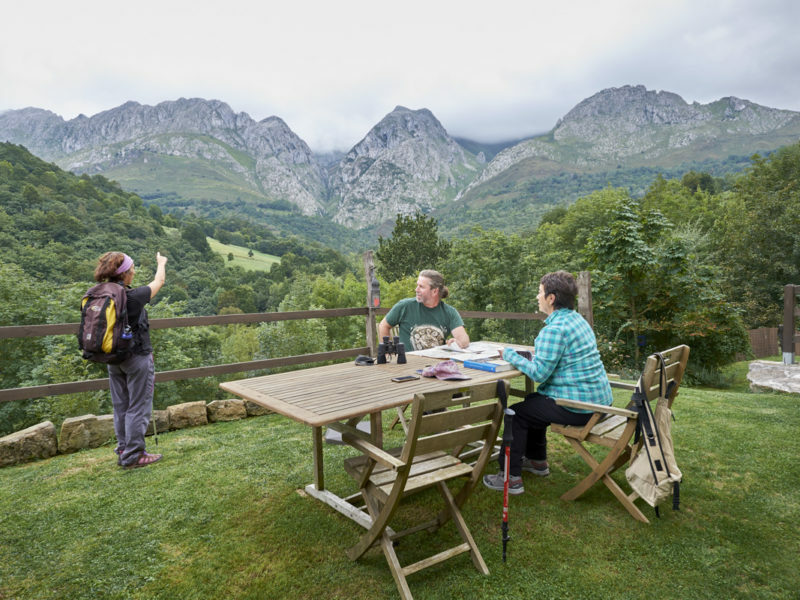 An abundance of wildflowers and birdsong; stunning mountain scenery; many lovely and varied walks nearby and further afield.